All benefactors will have acknowledgment on our website. 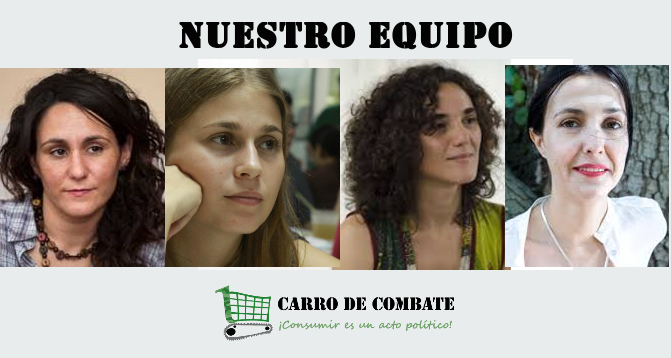 Your name will appear on our website as one of the people that made it possible for Carro de Combate to continue its work. Access to all our materials, such as the ebooks on the sugar and palm oil industries, and you will also to participate to vote on the issues we investigate. 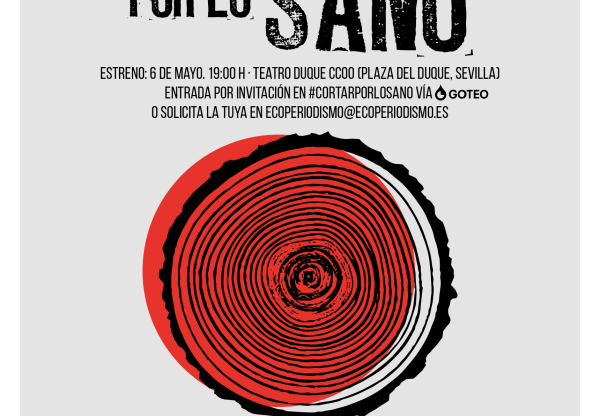 If you are part of a collective or an organization, we offer a face-to-face talk about responsible consumption or investigative journalism in Madrid. For other cities, contact us to see the travel costs. If you are part of a collective or an organization, we offer you a course-workshop on responsible consumption or investigative journalism in Madrid. For other cities, contact us to see the travel costs. ‘Carro de Combate’ requires a lot of administrative and social media management. These tasks take many hours every day and so far we have done them voluntarily in our spare time. However, the project has become too big to continue to do it in a non-professional way and we need to pay a person to take care of these duties. We want to investigate on the soy industry next. For this, we will travel to the province of Córdoba in Argentina, one of the largest producing countries in the world, along with Brazil and the United States. Our ideas go beyond 2019. We have many other projects in mind that we want to develop during the upcoming years. But we will only be able to come up with new reports and long-term investigations if someone is there to coordinate them. Therefore, we need more funding so that the project manager has a full-time contract. Although six months may seem like a long time, we do long-term research that usually spans years. Our research into the palm oil industry took almost 3 years. Please, help us to continue our investigations throughout all 2019. We have received positive feedback for our for Industry reports--profiles on products and industries in which we dissect in a simple and visual way their main social and environmental impacts. Due to lack of resources and time, we have had to stop working on them. However, we want to reissue them during 2019 with hopes to publish at least four new Industry Reports, whose topics will be decided by our subscribers. 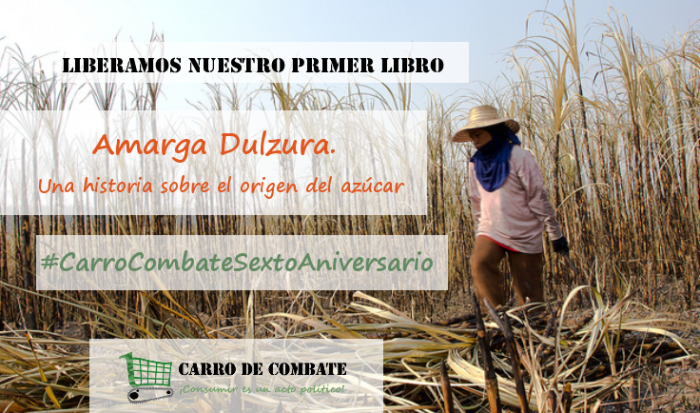 It has been six years since Carro de Combate started investigating the social and environmental impacts caused by what we consume. We have carried out in depth investigations, focusing on industries such as sugar and palm oil, , reported on specific products - cocoa, cotton, plastic, seeds, electronics, among others - and published a number of articles on topics ranging from o modern slavery, to the environment, to waste management. . Moreover, we have started a database collecting alternative projects that answer the question most commonly asked by our readers--- "what can I do?" We publish everything under a creative commons license and we don’t use a paywall. Our goal is to allow our research to reach as many people as possible. In addition, our robust social media campaign shares articles daily to help our readers understand the social and environmental impact of the products we consume. 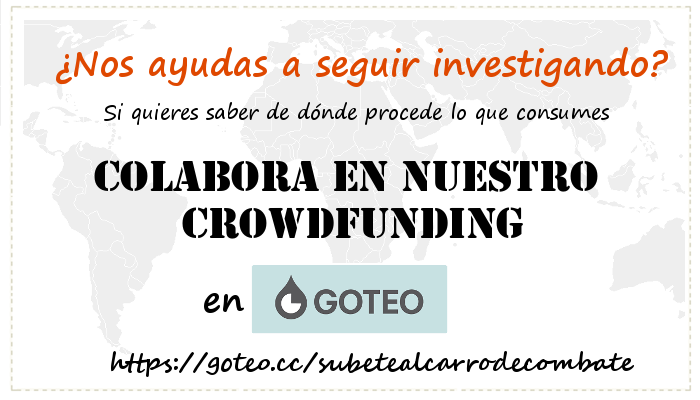 During the past six years, we have done most of the work voluntarily and the funds collected have been directed to cover the expenses of our investigations (flights, accommodation, translators ...) or other direct expenses of the project, such as the maintenance of the web page and our tax adviser. We want to continue investigating what we consume and selecting new avenues of research so that you, as a consumer, can navigate the tide of information that often suffocates us. However, managing a project like this one on a volunteer basis has become an impossible task and we are at risk of having to end the project if we don’t get enough funds to pay one person that takes care of the daily duties. We are still passionate about what we do; and we want to continue growing. We have plenty of ideas that we would like to develop during the next months: an agenda that will help you to plan your year in an ethical and sustainable way; new research on the impacts of the soy industry in Latin America; new industry reports; and also an interesting project to adapt our contents to be used in schools. But our ambitions take a lot of time and dedication, and we can not continue doing it without the resources. For this reason, we encourage you to join us and help us to make Carro de Combate sustainable in the long term. The funds raised will be used to keep the project functioning during 2019, more specifically to cover the basic expenses of the project and the salary of a project manager. We want to make Carro de Combate sustainable, but we also want to grow! Report on new industries, investigate new topics, and adapt our work to be used to teach children. This is just a start. 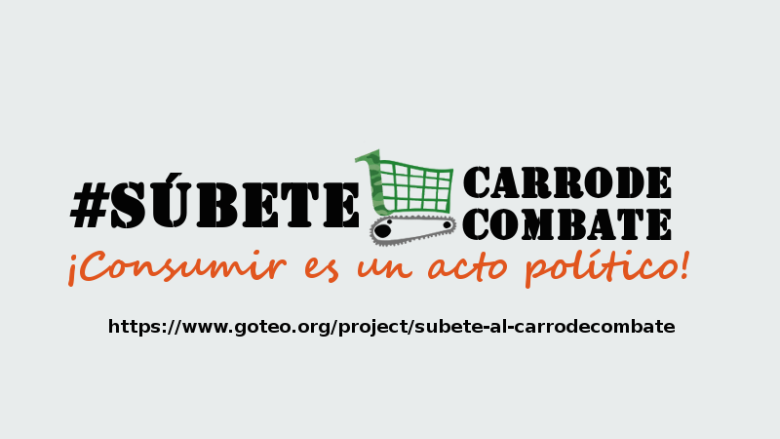 Sustainability of the project for six months (8,000 euros): ‘Carro de Combate’ requires a lot of administrative and social media management. Updating social media, curating news, responding to emails, sending out the newsletter, sending materials to our subscribers ... These tasks take many hours every day and so far we have done them voluntarily in our spare time. However, the project has become too big to continue to do it in a non-professional way and we need to pay a person to take care of these duties. At a minimum, we hope to obtain sufficient funding to pay a part-time person (including taxes) who would be responsible for the basic management tasks for six months. However, in the optimal budget we would like to get more funds so that person can be hired full time to work on the conception of new projects. 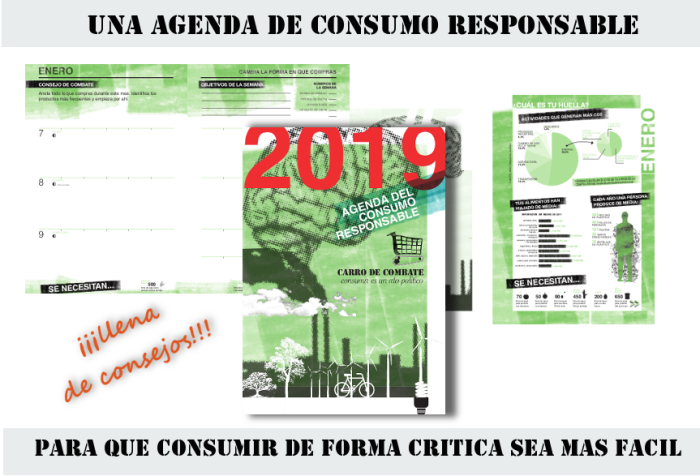 Agenda Carro de Combate (10,000 euros): One of the questions that most readers ask us is: How can I consume responsibly? Where do I begin? To answer that question we came up with an agenda in which, over the months, we will give advice, guidelines and objectives so that you do not have to spend hours thinking about where to start. 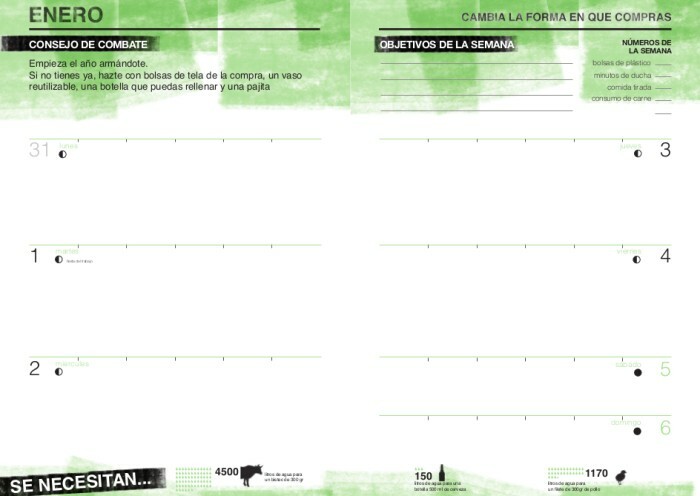 We already have the design of the 2019 agenda almost finished, but we need resources to pay the designer, to print the agenda and to send out the copies before the new year begins. Sustainability of the project for six more months (8,000 euros): Although six months may seem like a long time, we do long-term research that usually spans years. Our research into the palm oil industry took almost 3 years. Please Help us to continue our investigations throughout all 2019. Industry reports (2,000 euros): we have received positive feedback for our for Industry reports--profiles on products and industries in which we dissect in a simple and visual way their main social and environmental impacts. Due to lack of resources and time, we have had to stop working on them. However, we want to reissue them during 2019 with hopes to publish at least four new Industry Reports, whose topics will be decided by our subscribers. * Research on soybean industry (2,500 euros): One of the main focuses of Carro de Combate has been the large monocultures that dominate the world's agricultural and food industries. In the past, we have already researched the sugar and palm oil industries. There is a third monocrop that has shaped the way food is understood in our world: soy. This is why we want to investigate on the soy industry next. For this, we will travel to the province of Córdoba in Argentina, one of the largest producing countries in the world, along with Brazil and the United States. Help us keep growing! (7,500 euros): Our ideas go beyond 2019. We have many other projects in mind that we want to develop during the upcoming years. But we will only be able to come up with new reports and long-term investigations if someone is there to coordinate them. Therefore, we need more funding so that the project manager has a full-time contract, Thus, in addition to performing the basic tasks, that person will have the time to shape new projects. One of our ideas for the next few years is to adapt our materials so that they can be used by school-age children, something that many teachers and educators have asked us to do. This can be the first step to make that idea a reality. All our materials are aimed at anyone who wants to consume in a more ethical way. Today, consumers are constantly overwhelmed by an avalanche of information about the products they buy. However, brands often try to hide fundamental information about the characteristics of the product: what is it made of? Where has it been manufactured? In what conditions? What impacts have been caused during the manufacturing process? What will be the impacts derived from its consumption? These are questions that we try to answer every day at Carro de Combate. Our goal is also to do it in a rigorous, though enjoyable and accessible way, so that it is valuable for any reader, from the most informed person to the one that just started their ethical consumption journey. NAZARET CASTRO is a journalist, Magister in Social Economy and PhD student in Social Sciences. She has lived in Latin America since 2008, first in Brazil and now in Argentina. She collaborates with media such as Le Monde Diplomatique, La Marea and Público. She has published an extensive investigation on the behavior of Spanish multinationals in Latin America with the Spanish media outlet Fronterad. LAURA VILLADIEGO has a degree both in Journalism and Political Science. After studying in Paris and working in Spain and Brussels, she moved to Cambodia where she spent two and a half years collaborating for various media, mainly Efe (the Spanish news Agency), the newspaper Público and Foreign Policy. Now she lives in Thailand from where she covers the Southeast Asia for international media. AURORA MORENO ALCOJOR has a degree in Journalism and a Master's in International Relations. She is specialized in information about Africa and collaborates with several media outlets. Now, she learns and researches about ethical consumption and sustainability. She also has a personal blog, Por fin en Africa. 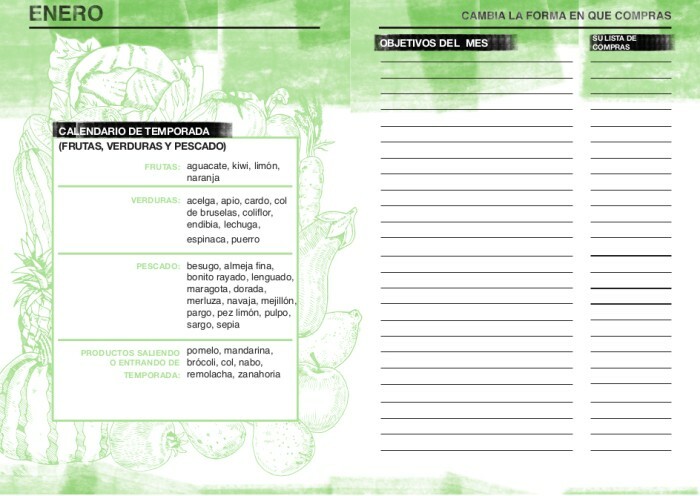 Carro de Combate investigates the social and environmental impacts caused by what we consume. All our materials are aimed at anyone who wants to consume in a more ethical way.